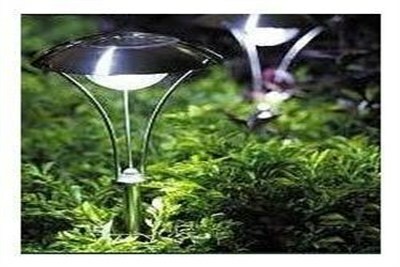 Rahul Enterprises are engaged in offering a premium quality range of Solar Lights. We try our level best in order to deliver a quality range of these lights at reasonable rates within the committed time frame. In Solar Lighting System each bollard consists of 4 LED’s bright/warm, with 360 deg angle illumination. Path way direction can be set as per the customer’s requirement, timer option is provided. Solar Lights recharge during the day. Automatic outdoor lamps turn on at dusk and remain illuminated overnight, depending on how much sunlight they receive during the day. Indoor solar lamps may or may not store power. A solar light is a light fixture composed of an LED lamp, a photovoltaic solar panel, and a rechargeable battery. Outdoor lamps may have a lamp, solar panel and battery integrated in one unit. Indoor solar lamps, also referred to as shaftless skylights or tubeless skylights, have separately-mounted solar panels and are used for general illumination where centrally generated power is not conveniently or economically available.